This week Access All Areas members have a unique design resource to download. This rainy day photo effect is a smart PSD that overlays a realistic wet glass effect to your images with water drops, mist and subtle refractions. It makes use of Photoshop smart objects to apply the complex adjustments, just edit the appropriate layer in the PSD and exchange the placeholder for your own photograph to give your own images a melancholy atmosphere. It’s the perfect tool for creating advertisements, movie posters or product mockups that require a cold, wet, outdoorsy feel! This premium design resource has been donated by Hortensiu Milstein, the mastermind behind the new 2Bundles Marketplace. 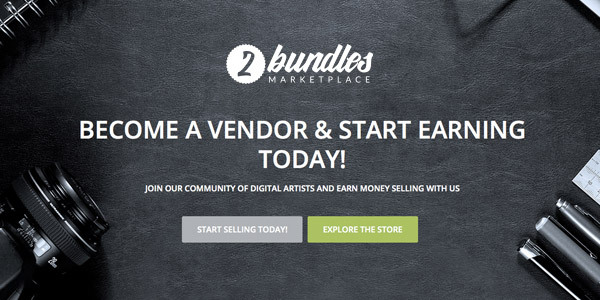 2Bundles is a new community where digital artists can earn money selling their goods. Vendors selling with 2Bundles have a range of important benefits; they keep 75% of their sale; they get their products listed immediately with no waiting period; and there’s no exclusivity, so sellers are free to upload their products to other marketplaces too. 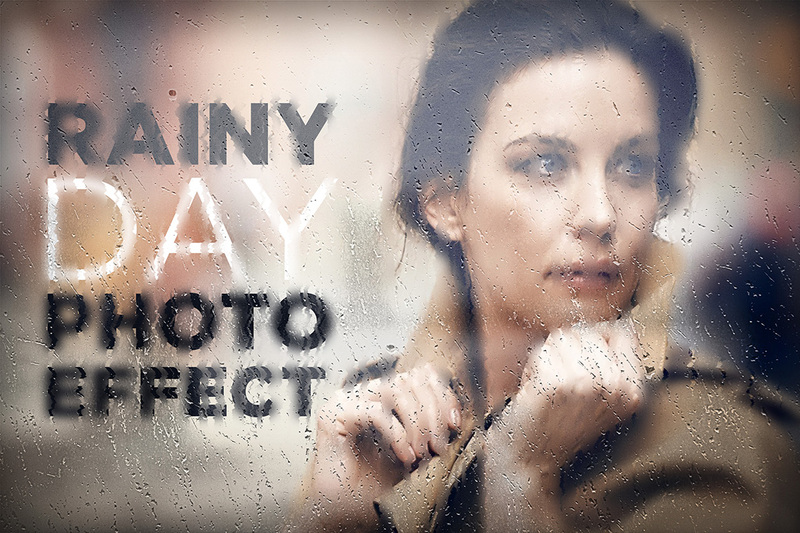 This rainy day photo effect PSD provides a quick and easy way to add a dismal downpour to your images. Edit the Smart Object in the PSD file and paste in your own picture. Save and close the Smart Object file to see the wet and rainy effects immediately applied to your image. The Smart Filters then allow you to fine tune the effect by adjusting the amount of glass blur. At 3000×2000/300dpi it’s a versatile resource that can even be used to process artwork for your print designs. Hi: I just join your community and am a rank beginner when it comes to using Smart Objects. I downloaded the rainy day effect and can’t seem to figure out how to apply it to my image. Can you give a little more details? Thanks. Hi KG – To edit the Smart Object in the PSD file – double click on the smart object icon in the layer (this will open the document) and paste in your own picture. Save and close the Smart Object file to see the wet and rainy effects immediately applied to your image. Thanks again Chris – this effect is loads of fun and it have given life to an old portfolio piece. – Huge Kudos. Thank you Chris, for the effect. Instant mood setter! LOL Thank you so much! This is very nice!